Now enter the next lawyer that is almost certain to get stiffed and then sued…..
After all, Team Goatherder has now sued 6 lawyers by my count in their SLAPP happy quest to silence Slabbed and cover up their involvement in Aaron Broussard’s criminal activity. So Alex, who is the next the next contestant? Mary Judith of Jacktown come on down! It will be interesting to see if she can take the $100,000 ding Jones Walker just took. 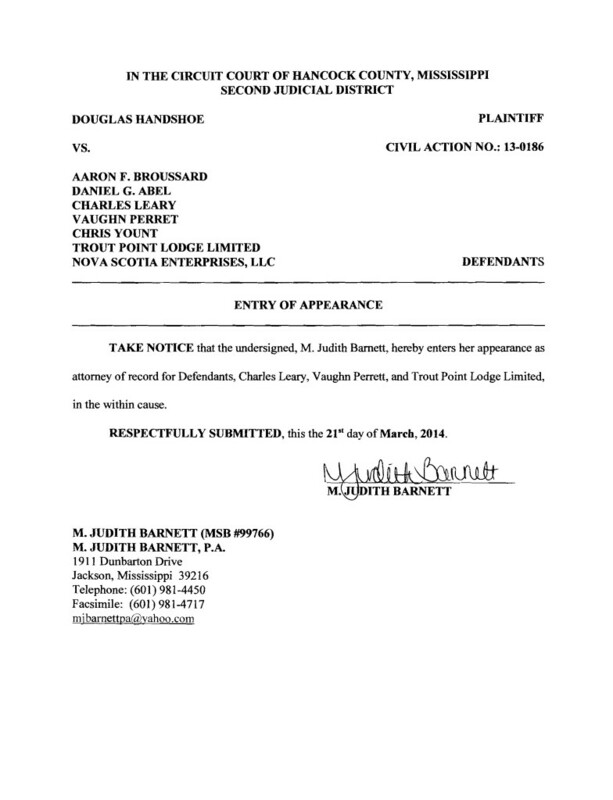 Author Douglas HandshoePosted on March 25, 2014 March 25, 2014 Categories SopTags Abel v Handshoe Vandenweghe Truitt Vance Sternberg Glenn & Baldwin Haspel, Handshoe v Broussard et al, Mary Judith Barnett aka M. Judith Barnett, SLAPP Happy Nut Jobs, Trout Point Lodge Leary & Perret v Doug Handshoe & Anne Marie Vandenweghe, Trout Point Lodge Leary & Perret v Doug Handshoe & Automattic, Trout Point Lodge Leary and Perret v Advance Publications, Trout Point Lodge Leary and Perret v DVL Publishing, Trout Point Lodge Limited Perret Leary v Louisiana Media Company LLC, Trout Point Lodge Vaughn Perret and Charles Leary v Jones Walker et al4 Comments on Now enter the next lawyer that is almost certain to get stiffed and then sued…..
Goats on a rope part deux: The Media Department at Jones Walker joins Danny Abel’s letter writing campaign……..
For my part forcing Danny Abel on the very Judges that sanctioned him days before made me a happy man for several reasons beyond the obvious. Henry Laird and Jones Walker never had the law on their side so this always a smear job instead of a lawsuit. First Laird printed and produced for the court every uncomplimentary thing I ever wrote about Magistrate Walker and his poor performance in the Katrina wind water cases. When I heard of this I wondered if he included his client Anita Lee’s (via her employer the Sun Herald) criticisms of Walker for the same stuff but somehow I think not. Like NAAS said long ago, people that can’t pound the table with facts use their fists instead. Mr. Abel says there had been a fraud perpetuated (sic) upon the district court. A copy of the letter is attached as Exhibit “A”. 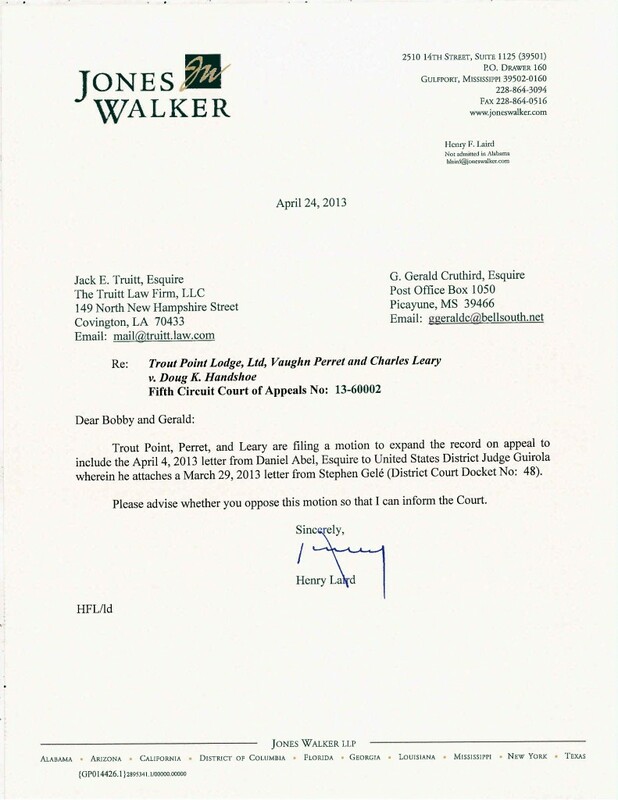 Trout Point, Perret, and Leary cannot and do not vouch for the accuracy or inaccuracy of Mr. Abel’s fraud charge, however since the charge is so serious, they believe the record on this appeal should be expanded to include Mr. Abel’s letter. Author Douglas HandshoePosted on May 7, 2013 March 13, 2014 Categories SopTags Abel v Handshoe and Vandenweghe, Anita Lee, Charles Leary, Daniel "Danny" Abel, Defamation, Goatherders, Henry Laird, Jones Walker, Legal Department: Super 8 Motel, Psychological Projection, SLAPP Happy Nut Jobs, The Sun Herald, Trout Point Lodge, Trout Point Lodge Leary & Perret v Doug Handshoe & Anne Marie Vandenweghe, Trout Point Lodge Leary & Perret v Doug Handshoe & Automattic, Trout Point Lodge Perret and Leary v Doug Handshoe, Vaughn Perret11 Comments on Goats on a rope part deux: The Media Department at Jones Walker joins Danny Abel’s letter writing campaign…….. Corrupt New Orleans politician Aaron Broussard enters federal prison in North Carolina Monday after being convicted of a rash of charges of fraud and bribery, some with connections to businesses and property he owned or managed in the Kempt Wilderness in Nova Scotia. He was sentenced to three years, ten months in a minimum security facility. In a TV interview over the weekend, Broussard described how he entered politics forty years ago fighting the political machine and “good old boy” system, only to become the poster child for political corruption in a notably corrupt town. Broussard was president of Jefferson Parish, the largest in the state. “I’m leaving politics as a good old boy in disgrace,” Broussard told reporter Travers Mackel. Broussard’s criminal case involved several charges, of which he insisted he was innocent and would fight to the end. He finally admitted in court to scheming in 2003 to give his then-girlfriend — later his wife — a public job for which she was not qualified and at which she rarely appeared. He also confessed that he took bribe payments totaling $66,000 to help steer public contracts to a Kenner businessman. His ex-wife, his chief administrative officer, his parish attorney and the businessman also pleaded guilty to federal charges. File suit against absolutely everyone every tangentially connected to the wild conspiracy theory being posited that particular day. Of particular interest was the lead council in the 2009 rendition of this suit ended up intervening as a defendant later when Abel and company took over the point. File another suit recycling the allegation from the first suit. Attempt a smear campaign using media outlets such as Belo’s Channel 4 TeeVee except in this case Abel used a conservative website called Human Events for PR dupes to publicize his baseless allegations. That’s OK though because the Human Events people are in good company. Less than one month after Abel’s promo of this suit appeared in Human Events he lost the suit. Defendants file to recover their attorney fees for having to defend against Abel’s frivolous lawsuits. Wash, rinse, repeat for this is the way of a Goatherder. I hope it is lost on no one that once upon a time Abel was trying to put the gun manufacturers outta business in between collaborating on the literary flops which chronicled his misadventures. 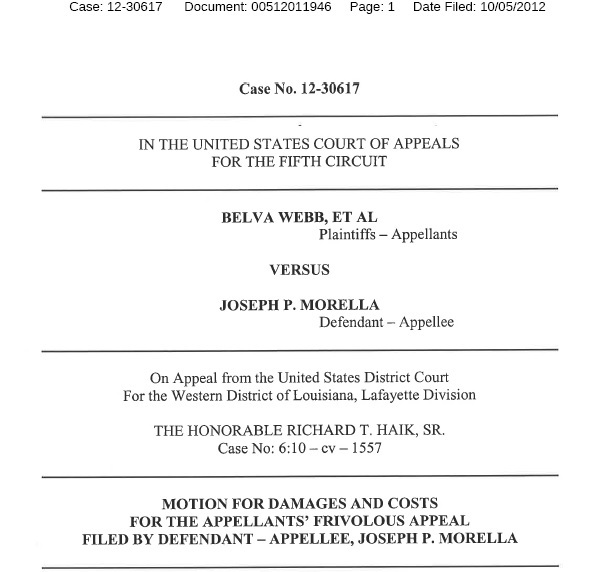 Only one words fits folks and that is jackassery and this brings me to latest developments in Webb v Morella (click the pic to nab the full pdf document). Interim Jefferson Parish President Steve Theriot Citing defamation and “suffered embarrassment” allegedly caused by online comments posted at www.NOLA.com, Jefferson Parish interim President Steve Theriot has filed a lawsuit requesting the identities behind 11 user accounts on the website. 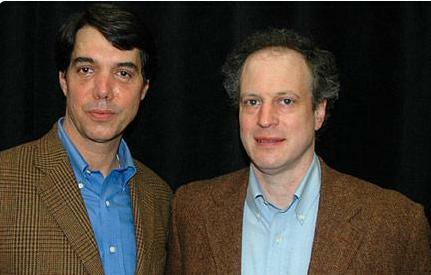 The suit was filed by attorneys Nan Alessandra and David Korn of the Phelps Dunbar law firm. The lawsuit also references messages posted on a local web log called slabbed.wordpress.com, but doesn’t specifically identify any comments, screen names or accounts used there. “We haven’t actually been contacted by Jefferson Parish at all, as far as official channels,” said Doug Handshoe, who co-founded that site in Mississippi. After reading the lawsuit, he said: “I think it’s certainly designed to intimidate and silence online commenters. “We don’t intend to alter what we’re doing at all,” he said. 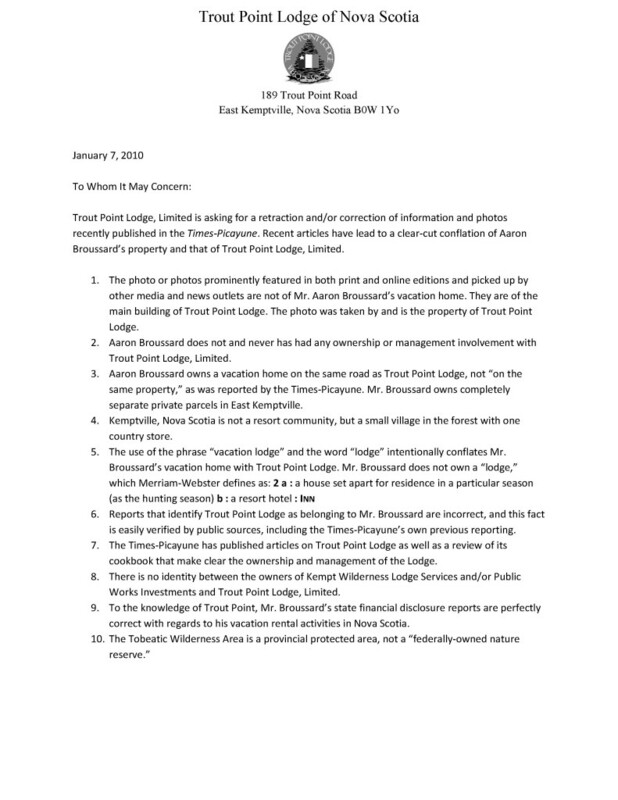 By May 2010 everyone that was anyone in the Landfill saga knew who I was including Aaron Broussard and his band of Goatherders. Slabbed continued undaunted and in my opinion February 2011 was our finest month to date as myself and my former blog partner were in rare form and we covered it all from the Rigsby Qui Tam suit to Ex Rel Branch, the Search and seizure fight involving River Birch and then on February 25 the indictment of Henry Mouton.